The First Noel Sheet Music (SATB) Including Practice Music. 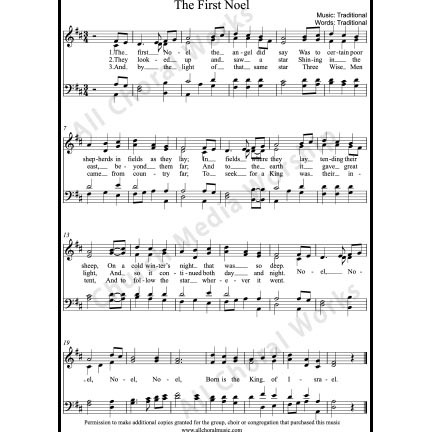 ** The First Noel Sheet Music is limited then to your family, group, or local congregation within the same building. With this in mind, each local congregation of any denomination or satellite location must purchase their own copy. The First Noel Sheet Music History in short.